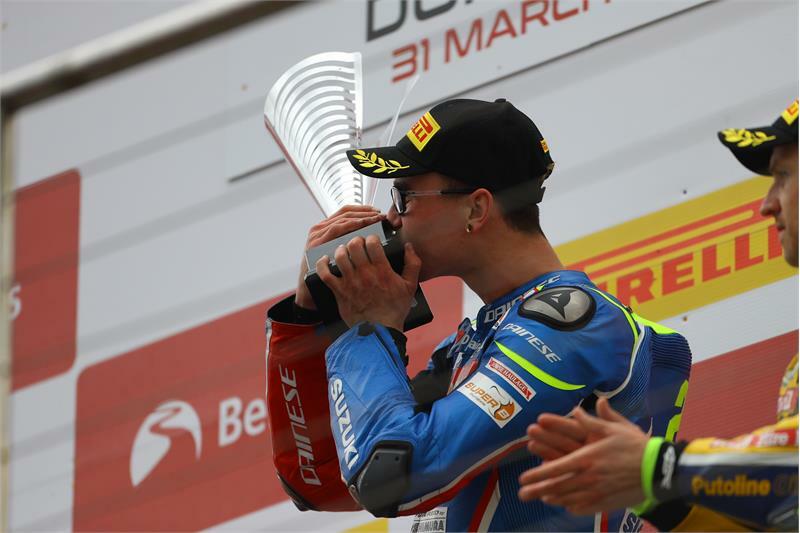 Bradley Ray began the 2018 British Superbike season at Donington Park with a double victory for the Buildbase Suzuki Team aboard his new GSX-R1000. Ray (20) from Ashford in Kent won yesterday’s opening race – his first in BSB – and then in today’s second race led from start to finish, crossing the line of the 18-lapper 3.4 seconds ahead. Ray now leads the series on 50 points, while in the National Superstock 1000 class, Buildbase Suzuki team-mate Billy McConnell also holds the series lead after two wins in yesterday’s two-part race, plus a fifth today.